Today, followers of Islam around the world are celebrating their biggest holiday – the Feast of Sacrifice. In Moscow alone, two million Muslims have joined in the festivities. 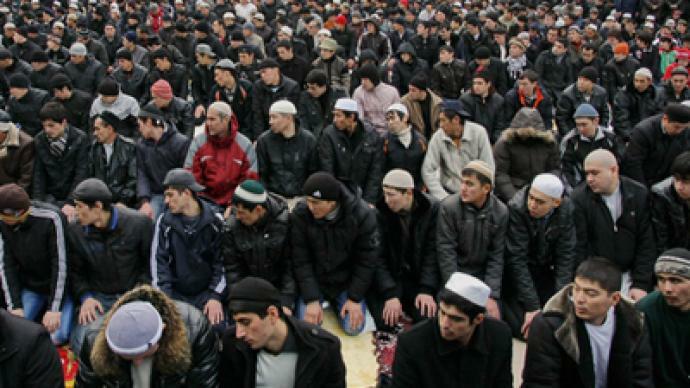 The number of Muslims in Russia runs into millions. 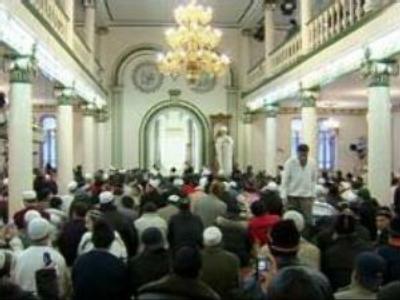 More than 50,000 followers have gathered on Tuesday to pray in Moscow’s largest mosque. The Festival of the Sacrifice, also known as Greater Eid, which celebrates an episode of the Old Testament where Abraham took his son, Ishmael, to a lonely place in the desert and on the command of God prepared to sacrifice him, in order to show his love of God. At the last moment God, realizing the depth of Abraham’s love, called out to him, saying that his sincere intentions had been accepted, and that he need not carry out the killing of Ishmael. Instead, Abraham was told to sacrifice a ram to instead of his son. To show their love of God and appreciation of the Old Testament story, Muslims sacrifice animals around the world. About 20 million Russian citizens, or 15 per cent of the entire population, are Muslim, and this number is growing continually. Therefore, a large part of the Russian population takes part in today’s celebrations. In general, the atmosphere is very supportive for these festivities in the country. However, there is a general requirement that the sacrifices of animals should be done out of public view. President Medvedev has congratulated Muslims on the celebration of Eid, which is a public holiday in some Muslim regions of the country.